Chats Around the Copier with Brett Abson · ABS. A Better Way. 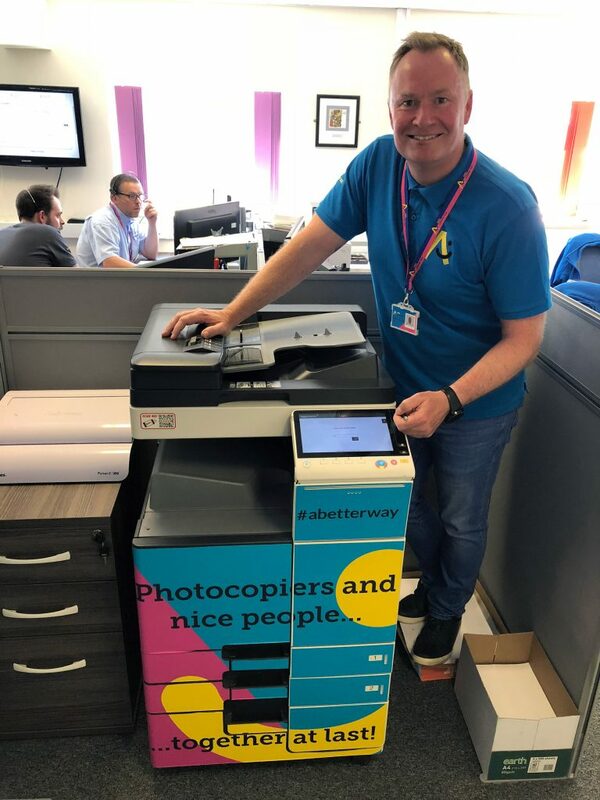 In our first ever ‘Chats Around the Copier’ Brett Abson, Sales Director at ABS talks about how ABS has remained ahead of the game in an over-crowded photocopier/printer industry. Halifax born and bred, former RAF policeman Brett joined ABS 24 years ago as a trainee in the telemarketing department. He moved up the ranks to become sales director. During his time he has seen some dramatic changes in the industry. “I think back to when I joined and the only products available were desktop black and white photocopiers which were extremely slow and didn’t print or scan. Now, the technology has become much more sophisticated and we work closely with our technology partners Ricoh, HP and DEVELOP to make sure our customers print, copy and scanning technology needs are met”. As sales director, Brett is also responsible for implementing ABS’ plans to double the number of devices in the field and to facilitate ABS’ expansion into other sectors such as IT. If you like what you see and want to learn more about the ABS family and what we can do for you then please click here.